OPEN HOUSE! 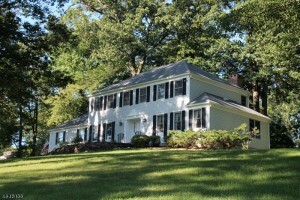 344 Sidney Rd; Franklin Twp. OPEN HOUSE! 30 Cherryville Stanton Rd; Raritan Twp. FROM CLINTON: RT 31 SOUTH TO RIGHT ON STANTON-STATION, RIGHT ON OLD CLINTON, LEFT ON CHERRYVILLE TO #30 ON RIGHT. 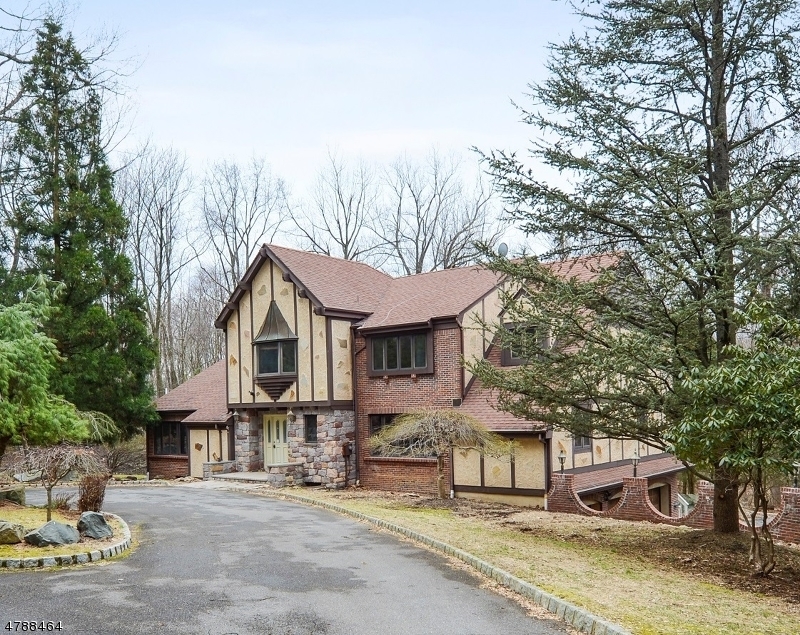 MUCH LARGER THAN IT APPEARS IN THE PHOTO, THIS 3,022 SQ FT 4/5BR & 3 BATH CUSTOM COLONIAL/CAPE OFFERS A FIRST FLOOR MASTER BEDROOM, A FINISHED WALK-OUT BASEMENT, AND A GREAT LOCATION MIDWAY BETWEEN CLINTON & FLEMINGTON ON A GORGEOUSLY LANDSCAPED 2.09AC PRIVATE WOODED LOT WITH NICE WINTER VIEWS. THIS LOVELY CUSTOM-PAINTED HOME FEATURES A SPECTACULAR BRIGHT & AIRY OPEN FLOOR PLAN WITH A 2-STORY LR/FAMILY RM, A GOURMET 2-STORY GRANITE & STAINLESS STEEL KITCHEN WITH CUSTOM MAPLE CABINETRY, AN EXPANSIVE FIRST FLOOR MBR SUITE WITH A GAS FPLC, A LUXURIOUS CATHEDRAL CEILING MASTER BATH, A FINISHED GRADE-LEVEL DAYLIGHT WALK-OUT BASEMENT, AN ENORMOUS 40 FT TREX DECK, TWO OTHER 1ST FLR BDRMS, TWO MORE SPACIOUS BDRMS & A MUSIC RM/OFFICE ON THE 2ND FLOOR, THREE FULL BATHS, HARDWOOD FLRS THRU-OUT, & A BACK STAIRCASE. 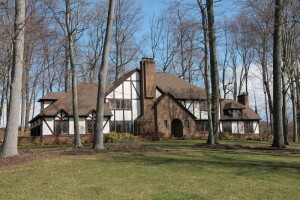 OPEN HOUSE: 408 Cherryville Rd; Franklin Twp. FROM CLINTON; RT 513 S TO LEFT ON SIDNEY ROAD (WHICH BECOMES CHERRYVILLE ROAD) TO #408 ON RIGHT ACROSS FROM TWINS COURT. 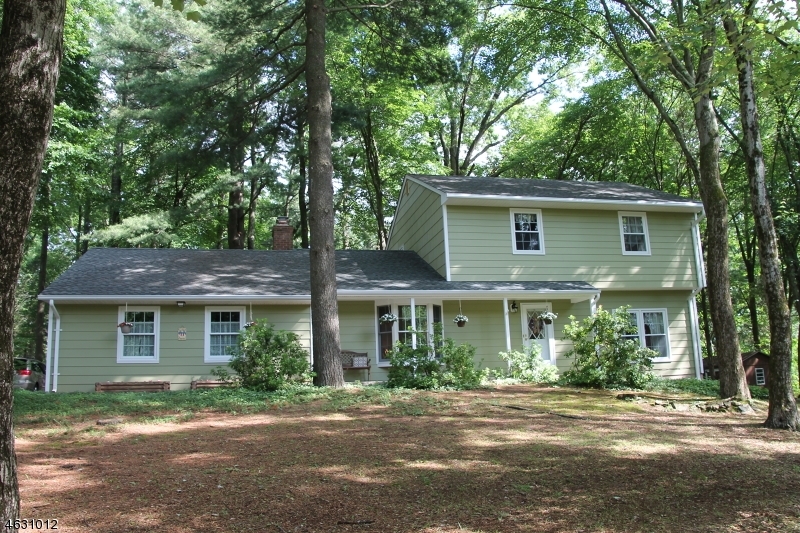 THIS 4BR & 2-1/2 BATH COLONIAL HAS BEEN TOTALLY RENOVATED AND UPGRADED BOTH INSIDE-AND-OUT, AND IS NESTLED ON A VERY PRIVATE 3.05 ACRE LOT WITH A GREAT LOCATION MIDWAY BETWEEN CLINTON AND FLEMINGTON. THE LOVELY TURN-KEY HOME IS LIKE NEW, HAVING NEVER EVEN BEEN LIVED IN SINCE THE RENOVATION. IT NOW FEATURES A HUGE CATHEDRAL CEILING STATE-OF-THE-ART GOURMET KITCHEN COMPLETE WITH GRANITE COUNTERTOPS, CUSTOM CABINETRY, A BUTLERS PANTRY WITH WINE COOLER, AND UPGRADED STAINLESS STEEL APPLIANCES INCLUDING A FIVE-BURNER THERMADOR RANGE/OVEN. OTHER HIGHLIGHTS INCLUDE A 23X19 VAULTED CEILING & SKY-LIGHTED GREAT RM, AN 18X15 COFFERED-CEILING DINING RM, A FIRST FLOOR MBR SUITE WITH A LARGE WALK-IN, A LUXURIOUS MASTER BATH WITH MARBLE VANITY & TILED FRAMELESS GLASS SHOWER, THREE SPACIOUS 2ND FLOOR BDRMS, & SO MUCH MORE! 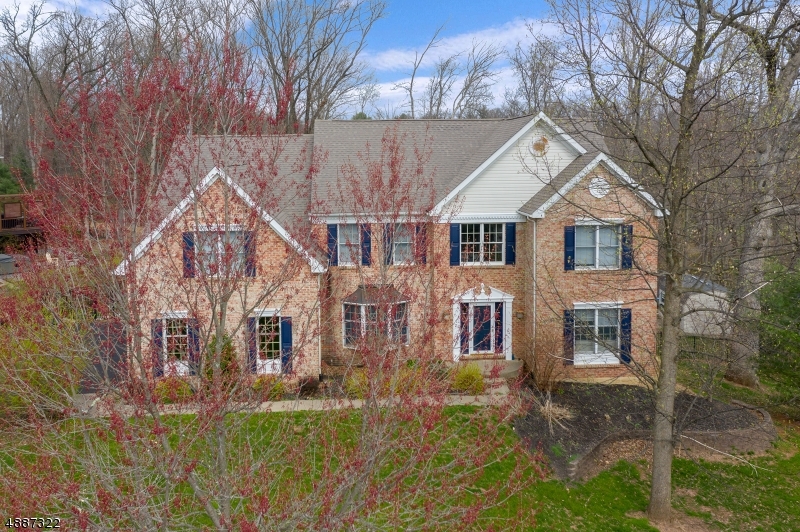 OPEN HOUSE: 147 Black Brook Rd; Bethlehem Twp. 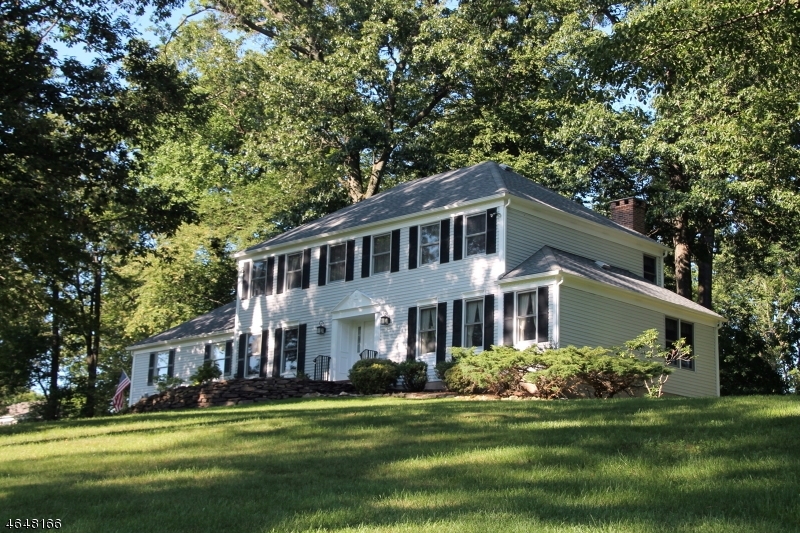 A RECENTLY RENOVATED AND UPDATED 4287 SQ FT 4/5BR & 4-1/2 BATH COLONIAL ON A VERY PRETTY 5.98 ACRE PRIVATE WOODED LOT WITH A GREAT LOCATION ON A LIGHTLY TRAVELED COUNTRY ROAD JUST NORTH OF BEAUTIFUL SPRUCE RUN RESERVOIR AND RECREATION AREA. THE HOME FEATURES A BRAND NEW 24X16 MARBLE-FLOORED GRANITE KITCHEN WITH UPGRADED STAINLESS STEEL APPLIANCES AND CUSTOM CHERRY CABINETRY, A 24X16 FAM RM & 23X18 LIVING RM WHICH SHARE A MAGNIFICENT FLOOR-TO-CEILING DOUBLE-SIDED RAISED HEARTH BRICK FPLC, A FULLY-WINDOWED MARBLE FLOOR SUN RM, 38X15 REC RM WITH A FULL WALL STONE FPLCE IN THE WALK-OUT BSMNT, & A 19X15 MBR SUITE WITH SITTING RM, 2 LARGE WALK-INS, & A LUXURIOUS MASTER BATH. OTHER HIGHLIGHTS INCLUDE HARDWOOD OR MARBLE FLOORS THRU-OUT, BRICK & HARD-COAT STUCCO EXTERIOR, & A PAVED BELGIUM BLOCK-LINED CIRCULAR DRIVE. NEW LISTING! 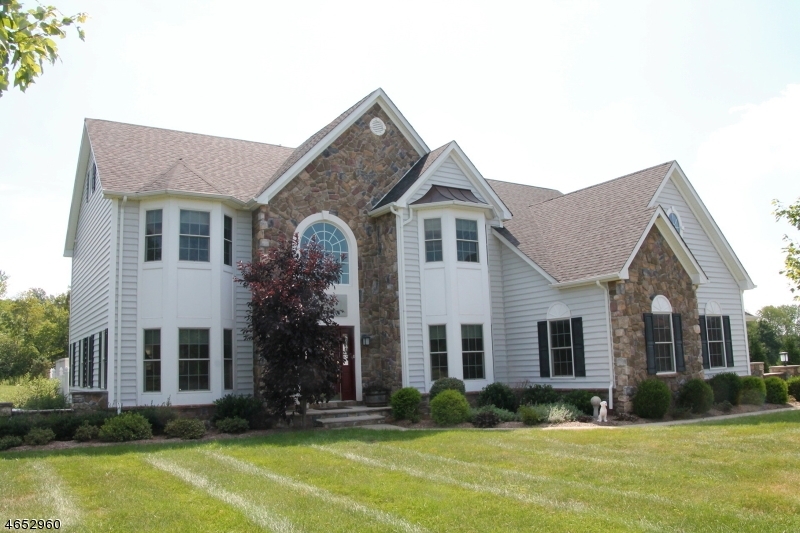 1123 Highland Ct; Lopatcong Twp. A NEWLY RENOVATED & FRESHLY PAINTED TURN-KEY TWO BEDROOM & 2-1/2 BATH HERITAGE 2 MODEL WITH A GREAT LOCATION WITHIN OVERLOOK AT LOPATCONG. THIS BRIGHT, LIGHT, SPACIOUS, & AIRY HOME FEATURES A 2-STORY FAMILY ROOM WITH A FULL WALL OF WINDOWS AND A CORNER FIREPLACE, AN UPDATED KITCHEN WITH NEW STAINLESS STEEL APPLIANCES, NEW POWDER RM, AND UPDATED BATHS. 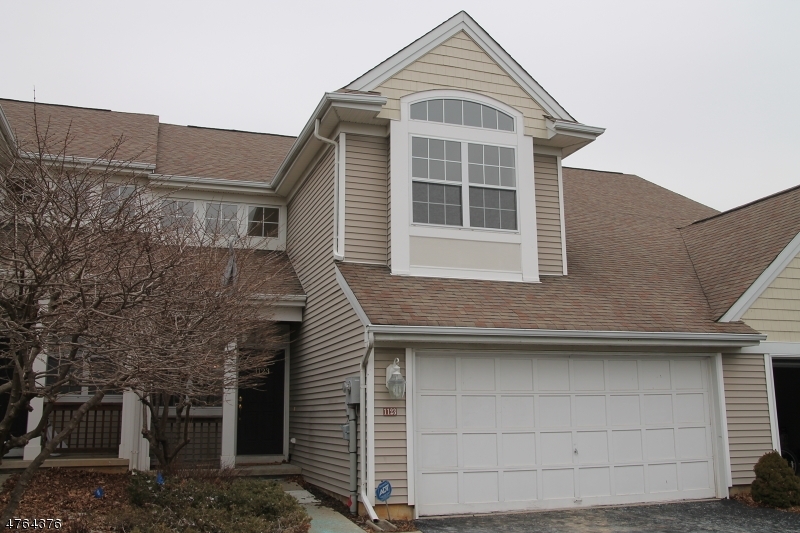 THIS NOW READY-FOR-OCCUPANCY HOME HAS BEEN COMPLETELY RE-DONE FROM TOP-TO-BOTTOM AND NOW OFFERS NEW CARPETING, NEW FLOORING, A TWO-CAR GARAGE, A FULL BASEMENT, & SO MUCH MORE! BEST OF ALL, IT’S IN A LOVELY TOWN-HOME NEIGHBORHOOD WITH A COMMUNITY POOL, CLUBHOUSE, VOLLEYBALL AREA, BASKETBALL COURTS, AND A GREAT LOCATION CONVENIENT TO ROUTES 78 & 22, SHOPPING, RESTAURANTS, AND MOVIE THEATERS. ALSO FHA & USDA COMPLIANT. 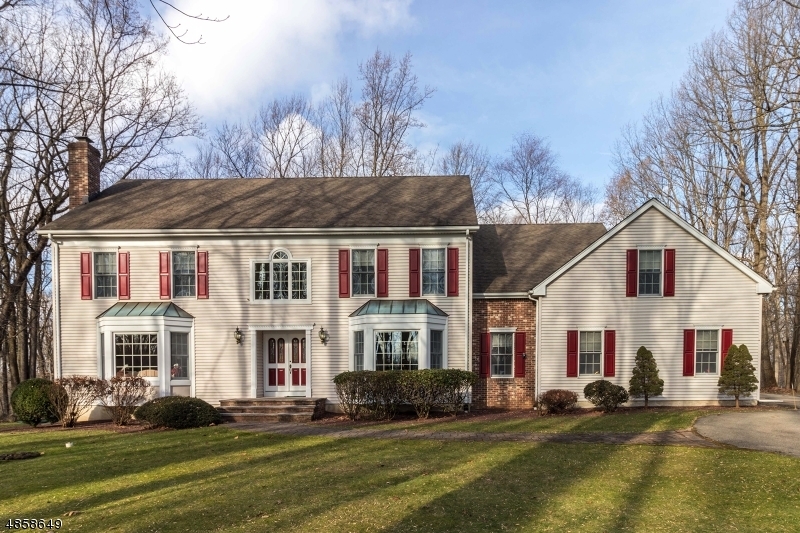 OPEN HOUSE: 6 Wildwood Ct; Raritan Twp. FROM FLEMINGTON: RT.31N TO LEFT ON SAND HILL, LEFT ON THATCHERS HILL, RIGHT ON OAK GROVE RD, RIGHT ON ROUND HILL, LEFT ON WILDWOOD TO #6 ON RIGHT. THIS SPARKLING CLEAN, RECENTLY RENOVATED & UPDATED 4BR HOME IS MAJESTICALLY SITED ON AN EXCEPTIONALLY PRETTY & GORGEOUSLY LANDSCAPED 1.76 ACRE CUL-DE-SAC LOT WITH A LOVELY PRIVATE PARK-LIKE BACKYARD. THE HOME FEATURES A NEWLY UPDATED GOURMET KITCHEN WITH QUARTZ COUNTERTOPS & BACKSPLASH, FARMHOUSE SINK, SPICE RACK, NEW CERAMIC FLOOR, & UPDATED WARRANTEED STAINLESS STEEL APPLIANCES. 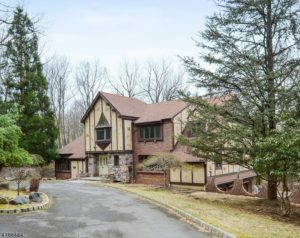 OTHER HIGHLIGHTS INCLUDE A FAMILY RM WITH A RAISED HEARTH BRICK FPLC & BUILT-IN MIRRORED BOOKSHELVES, A LARGE BRIGHT-AND-SUNNY LIVING RM, A FORMAL DINING RM W/CROWN & DENTIL MOLDINGS, AN EXPANSIVE MBR SUITE WITH A LARGE WALK-IN & DRESSING AREA, SPACIOUS SECONDARY BDRMS, AN UPGRADED BATH & POWDER RM W/FURNITURE-GRADE VANITIES, A SECURITY SYSTEM, A GORGEOUS NEW BRICKFRONT WALKWAY, A 24X12 DECK, NEWER ROOF AND WINDOWS, & SO MUCH MORE! 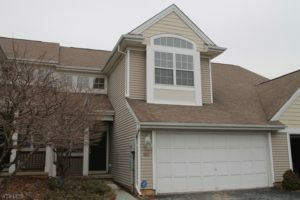 OPEN HOUSE: 7 Severns Way; Delaware Twp. FROM FLEMINGTON: RT 12 WEST TO RT 523 SOUTH. AT STOP SIGN IN SERGEANTSVILLE, L ON 604 THEN IMMEDIATE R ON RITTENHOUSE TO CORNER SEVERNS. THIS LIGHTLY-LIVED-IN FIVE-YEAR-YOUNG FORMER MODEL HOME FEATURES A GREAT LOCATION WITHIN A LOVELY EDGE-OF-TOWN NEIGHBORHOOD OF COMPARABLE NEWER HOMES JUST OUTSIDE OF THE PICTURESQUE QUAINT VILLAGE OF SERGEANTSVILLE. THE SPARKLING CLEAN HOME FEATURES A GREAT OPEN FLOOR PLAN WITH A 26X13 GRANITE & CHERRY GOURMET CENTER ISLE KITCHEN WITH UPGRADED STAINLESS STEEL APPLIANCES. THE BRIGHT-AND-SUNNY RESIDENCE ALSO OFFERS A HUGE VAULTED CEILING FAMILY RM, A SUN-SPLASHED LIVING RM WHICH OPENS ONTO AN EXQUISITELY-TRIMMED FORMAL DINING RM, AND A PRIVATE 1ST FLOOR STUDY WITH ADJACENT FULL BATH FOR USE AS A POSSIBLE IN-LAW SUITE. OTHER HIGHLIGHTS INCLUDE AN EXPANSIVE MBR SUITE WITH SITTING RM & A LUXURIOUS MASTER BATH, SPACIOUS SECONDARY BRS, HARDWOOD ON THE ENTIRE 1ST FLR & MASTER SUITE, & A WHOLE-HOUSE GENERATOR. 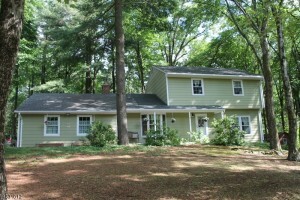 OPEN HOUSE: 23 Country Hill Rd; Clinton Twp. NEW PRICE! 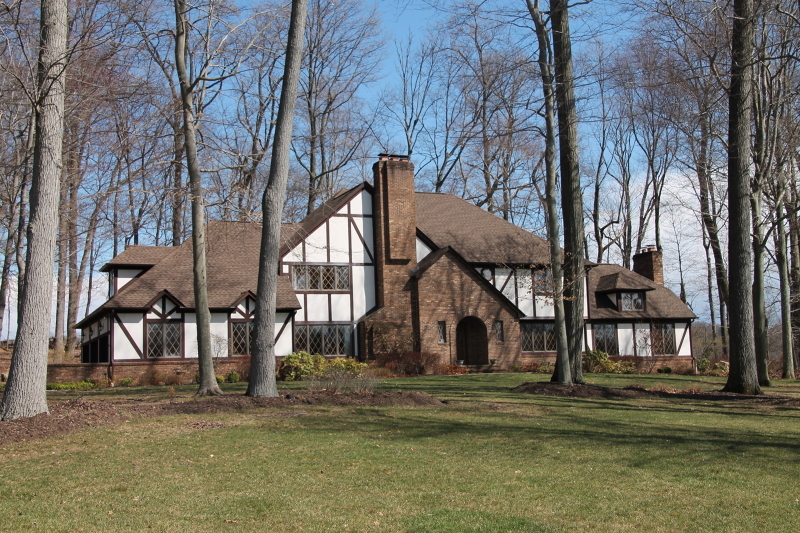 10 White Tail Way; Clinton Twp. 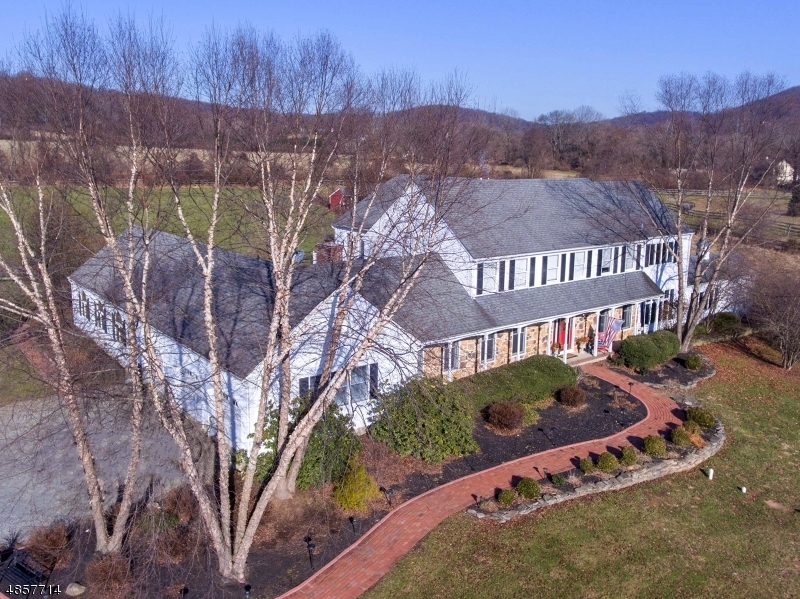 A SUPERBLY MAINTAINED 5,000 SQ FT CUSTOM HOME IN A TRULY PARK-LIKE SETTING ON A LOVELY 1.99 ACRE PREMIUM LOT WITH A GREAT LOCATION JUST A FEW MINUTES FROM ROUTE 78 IN BEAUTIFUL HOOK MOUNTAIN ESTATES. SPECIAL FEATURES INCLUDE A SPECTACULARLY ENORMOUS 25X25 CATHEDRAL CEILING FAMILY ROOM FURTHER ENHANCED WITH A SOARING FLOOR-TO-CEILING FULL WALL RAISED HEARTH BRICK FIREPLACE, AND AN EQUALLY OVER-SIZED 26X17 CORIAN KITCHEN WHICH ALSO OFFERS A LARGE SEMI-CIRCULAR CENTER ISLE WITH BREAKFAST BAR AND A SEPARATE FULL WALL OF CUSTOM CABINETS. OTHER HIGHLIGHTS INCLUDE A MARBLE GRAND ENTRY FOYER WITH A SWWEPING CIRCULAR STAIRCASE, A PRIVATE FIRST FLOOR STUDY, SPACIOUS SECONDARY BRMS, AN EN SUITE, & AN EXPANSIVE MBR SUITE WITH A SITTING RM, A FIREPLACE, A LUXURIOUS SPA-LIKE MASTER BATH, & A SPECTACULAR 26X16 SUPER CLOSET!